PayGate is a payment Gateway service provider. PayGate is an African company established in 1999. This payment gateway company has developed into a global payment service accepting online payments worldwide. PayGate is a PCI DSS Level1 Certified Payment Gateway. And always ensure to deliver secure, reliable online payment solutions. Supported by secure state of the art payment solutions. Card Payments- With PayGate’s global reach you can accept secure online Card payments worldwide. SiD Instant EFT- Receive instant EFT payments from your customers using the SID instant EFT service. 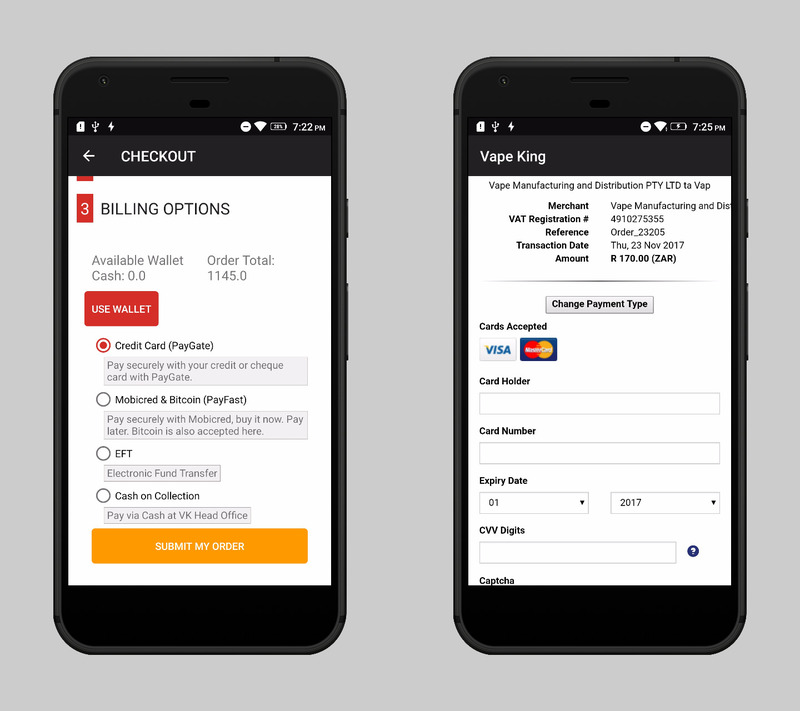 Visa Checkout- Easy checkout when you’re shopping online with a single sign-in anytime you see Visa Checkout. MasterPass- MasterPass by MasterCard is a digital wallet service that makes online shopping safe, easy, and convenient. PayPal- Receive international payments using PayPal, a trusted payment solution for web and mobile. PaySum1-Receive international payments to South Africa and save on electronic bank transfers. Scode- Accept Cash payments online. Your Customer can shop online and pay with Cash. Zapper- Pay using your smartphone. Customers scan the QR code on their bill with the Zapper app to pay instantly. Mobikul Supports PayGate Payment System. It can be easily integrated with your Mobikul mobile app of your store. Please refer to the Play Store link of the live application integrated with the PayGate payment system. Mobikul Supports PayGate payment system and many other payment gateways which you require. You can check for all supported payment gateways supported by Mobikul by clicking here.